One task RNH, the Icelandic Research Centre for Innovation and Economic Growth, has set itself is to remember the victims of 20th century totalitarianism, national socialism and communism. Totalitarians reject, and actively fight against, the economic and political freedom which is essential for innovation and economic growth. It is widely recognised that national socialism was criminal in nature. But some are reluctant to accept that communism was criminal as well, as amply demonstrated where communists seized power. According to The Black Book of Communism the death of almost one hundred million people can be attributed to communism. 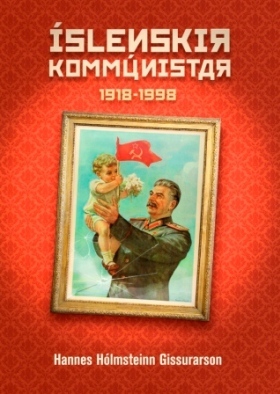 In 2005 Ugla published Kommúnisminn (Communism. A Brief History) by Professor Richard Pipes, an expert on Soviet history. It is a concise history of one of the most powerful (and lethal) political movements in the world, translated by Jakob F. Asgeirsson and Margret Gunnarsdottir. 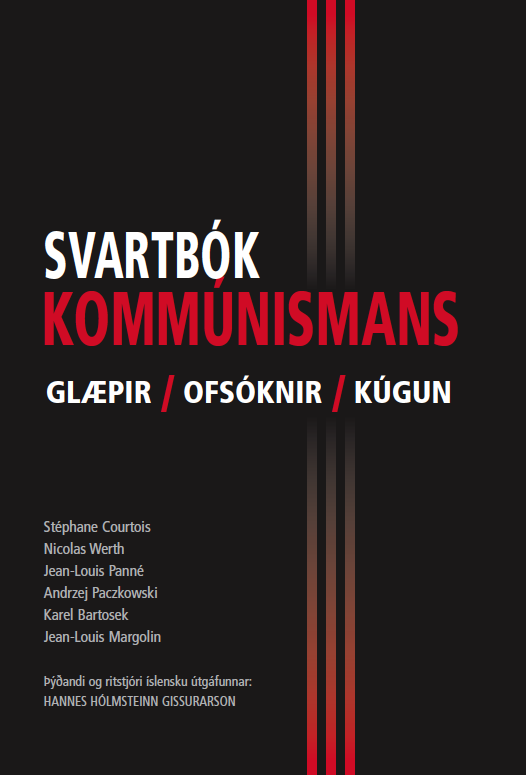 In 2009 the University of Iceland Press published Svartbok kommunismans (The Black Book of Communism) by Stéphane Courtois and several other French scholars, translated and edited by Professor Hannes H. Gissurarson. 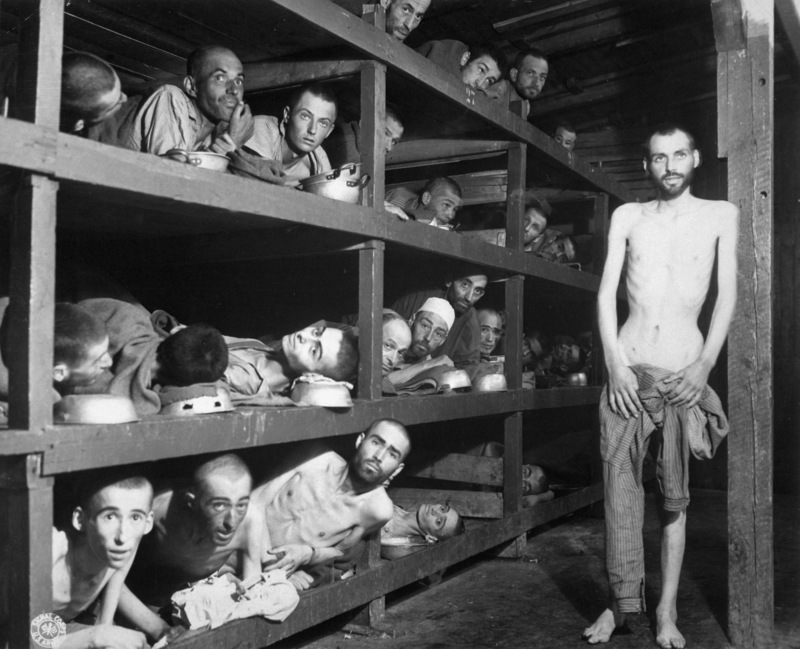 Buchenwald 1945: Elie Wiesel is 7th from left in second row. In 2009 Ugla published Nott (Night) by Roumanian-American author Elie Wiesel, in Stefan Einar Stefansson’s translation. Widely regarded as Wiesel’s best book, it is a moving description of his experiences in the Nazi concentration camps of Auschwitz and Buchenwald in 1944–45. In 2010 Ugla published Sovet-Island. Oskalandid (Soviet Iceland, the Country of Our Dreams) by Professor Thor Whitehead, where the activities of the Icelandic communists until 1946 were analysed, especially their ties to Moscow and their practice of violence in political and economic disputes. In 2011 Almenna bokafelagid published Islenskir kommunistar 1918–1998 by Professor Hannes H. Gissurarson. It is a history of the Icelandic communist movement, from the autumn of 1918 when the young student Brynjolfur Bjarnason (later the first and only chairman of the Communist Party) participated in a street riot in Copenhagen, to the autumn of 1998 when Margret Frimannsdottir, Svavar Gestsson and other leading members of the People’s Alliance accepted an invitation from the Cuban Communist Party to visit. The communist movement gained more influence in Iceland than in most other Western democracies and accepted both financial support and political advice from the rulers of the communist states in Europe. An article which the author wrote on his book can be read here. In 2011 Ugla published Engan tharf ad ofunda (Nothing To Envy), a prize-winning account by journalist and writer Barbara Demick of daily life in North Korea, one of the last remaining communist countries in the world. The book was translated by Elin Gudmundsdottir. In 2011 Ugla published Rodinn i austri (The East is Red) by historian Snorri G. Bergsson, a detailed history of the Icelandic communists until 1924. 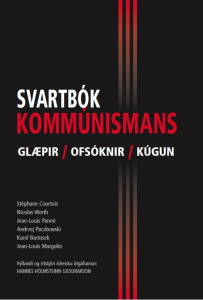 This is the first in a planned multi-volume study of the Icelandic communist movement. 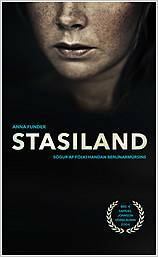 In 2012, Ugla published Stasiland by Australian writer Anna Funder, a prize-winning description of the police state which communists developed in the Soviet Occupation Zone in Germany. 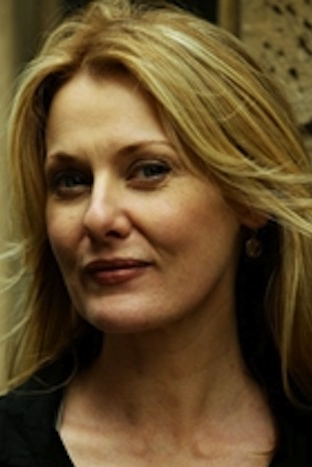 The book was translated by Elin Gudmundsdottir. 12 September 2012, Professor Niels Erik Rosenfeldt, University of Copenhagen, gave a paper on the “Secret Operations of the Comintern”. Rosenfeldt is an internationally acknowledged author in the field. This was followed by an international conference 22 September 2012 at the University of Iceland, on “Europe of the Victims: Remembering the Crimes of Communism”. Speakers included Stéphane Courtois, the editor of the Black Book of Communism, Dr. Roman Joch from the Czech Republic, Professor Oystein Sorensen, Oslo, and Anna Funder, author of Stasiland. The papers will be published in a book by the Almenna bokafelagid, along with the papers of Bent Jensen and Niels Erik Rosenfeldt. 2 November 2012, Professor Hannes H. Gissurarson, University of Iceland, gave a paper on the debate in Iceland about Mao’s biography by Jung Chang and Jon Halliday. Two Icelandic left-wing intellectuals had published lengthy attacks on the book in the Icelandic Journal of History, Saga, and in the weekly Lesbok Morgunbladsins. 14–15 May 2013, Professor Hannes H. Gissurarson participated in a seminar in Warsaw on how best to remember the victims of totalitarianism. The seminar was organised by the Platform of European Memory and Conscience, PEMC, in cooperation with The Museum of the Warsaw 1944 Uprising, MPW, The Polish Institute of National Remembrance, IPN, and the Czech Institute for the study of totalitarian regimes, USTR. The European Parliament has designated 23 August as the Day of Remembrance for the victims of totalitarianism, and 23 August 2013 a photo exhibition on international communism and Iceland was opened at the National Library of Iceland. The exhibition was designed by Professor Hannes H. Gissurarson and the Library staff. On this occasion Dr. Mart Nutt, an Estonian historian and member of parliament, and Dr. Pawel Ukielski, the director of the Warsaw 1944 Rising Museum, gave lectures on the totalitarian experiences of their two countries. When the exhibition closed on 16 September, Slovenian historian Dr. Andreja Zver gave a lecture on the necessity of remembering the victims of totalitarianism. 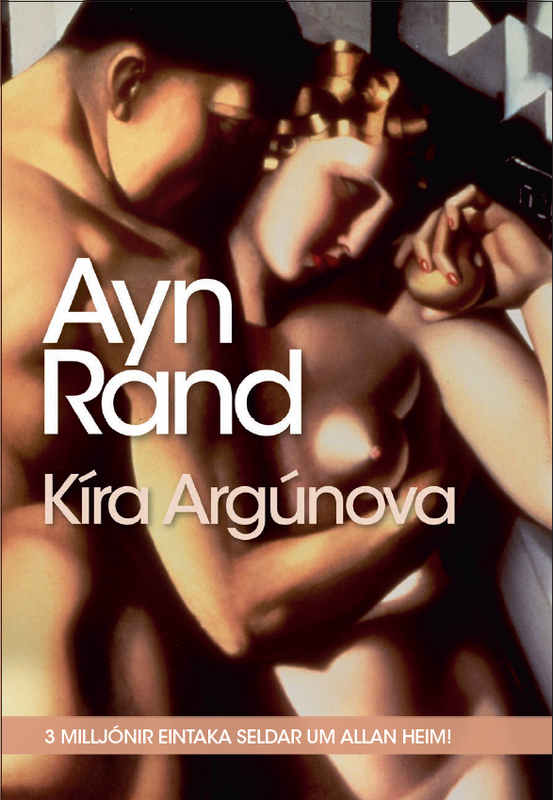 Ayn Rand’s novel about her first-hand experience of totalitarian oppression in Russia under communism, We the Living, was published 1 November 2013 by Almenna bokafelagid. In Icelandic, the book is called Kira Argunova, after its main character. Dr. Yaron Brook of the Ayn Rand Institute gave a talk on this occasion. 9 November 2014, 25 years have passed since the fall of the Berlin Wall and the collapse of socialism. 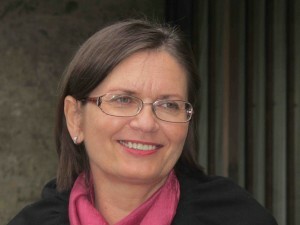 On that occasion Almenna bokafelagid publishes online editions of many books which were published in Iceland against totalitarianism, including the translation of The Black Book of Communism.